WHAT EVERY WOMAN NEEDS: COULD R.M. WILLIAMS BE AUSTRALIA'S RALPH LAUREN? COULD R.M. WILLIAMS BE AUSTRALIA'S RALPH LAUREN? I WAS browsing through my rather extensive reading list the other day when I discovered this article Quality Aussie clobber for the cashed-up cobber. It's rare to see the name RM Williams mentioned in the same sentence with high fashion. But it's also interesting that this article was written by a London journalist who reckons that with "a spot of spit and polish RM Williams could be a top-notch, gold standard, home-grown luxury brand for the cashed-up cobber". Think Ralph Lauren in a cork hat! 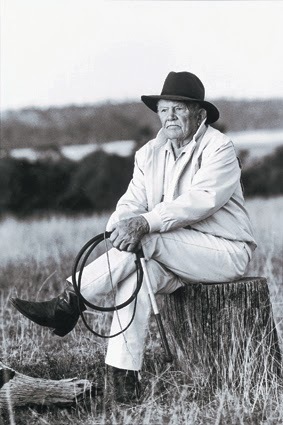 So it got me thinking … How wonderful would it be if an iconic Australian brand could be as successful as Ralph Lauren!!! RM Williams, born Reginald Murray Williams (1908-2003), made his name making boots. In 1938 the bushman established the company famous for creating a style of clothing recognised globally as uniquely Australian. And just like Ralph Lauren who started out making ties in the 1960s and went on to redefine American style, there is no reason why RM Williams cannot enjoy the same success. Synonymous with the bush, perhaps the brand is too connected to its rural heritage that the clothes can be a little "hit and miss". Maybe the brand needs to be sexier or more relevant for today's largely urban masses "without betraying its ruggedly unfussy practicality". So how do we get behind this iconic brand? How does executive designer and former Sydney couturier Jonathan Ward change it up? I'd love to be involved somehow. Let me know what you think.